Infographics are one of the best way to represent information/data in the form of graphic visuals.They are not only eye-catchy but also they are easy to read and understand. We regularly publish infographics for designers and developers and this weekend we again share 3 infographics that we think are useful for you. The infographic is about the quality of a link created by OrangeLine.They have conducted a survey of 501 SEO professionals around the world to understand how community evaulate link opportunities. Very nice! 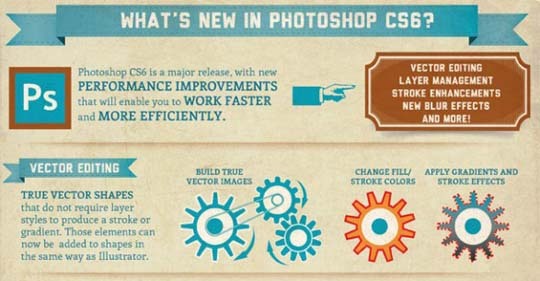 Love the Photoshop CS6 Infographic! 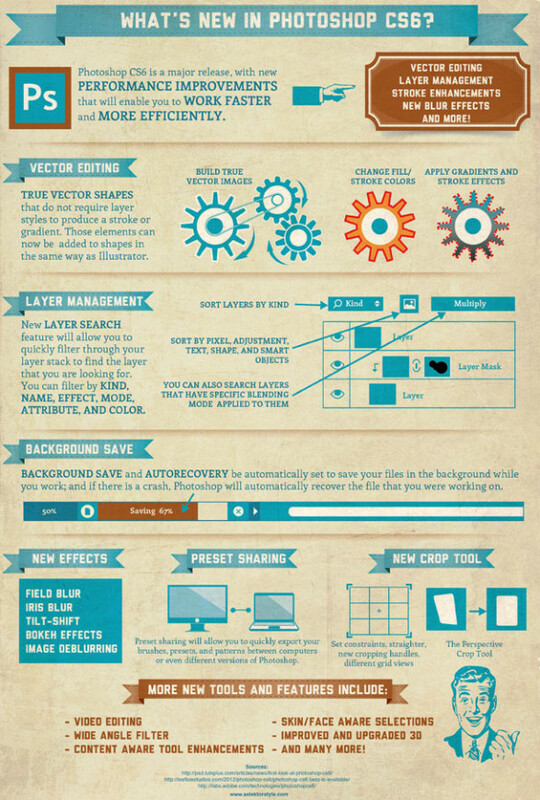 I liked the Photoshop and Link infographic – very clever! 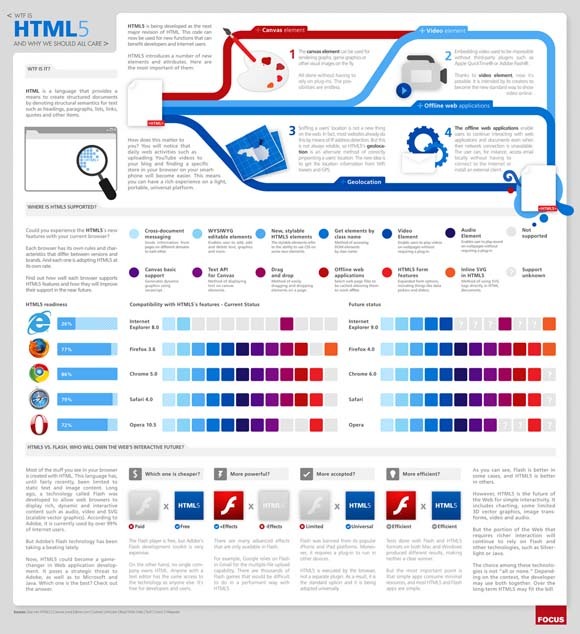 But HTML5 is not my cup of tea because of the colors used in graphic. This watermelon green mixed with dark blue makes my eyes ‘sink’ and the techie font is barely readable! Anyways, I enjoyed the collection!